A delicately spiced Carrot cake layered with Dulce de leche buttercream and frosted in White Chocolate Ganache. Watercolour inspired effects have been created on the Ganache. 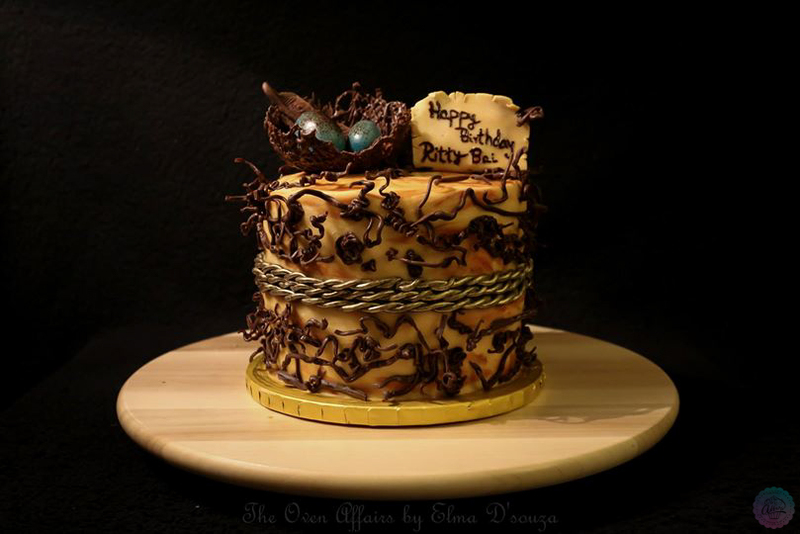 Fondant and various forms of milk and white chocolate have been used to create the elements namely-the jute coir, bird's nest, eggs, parchment scroll nameplate and the twigs.The jute coir has been toned up with edible gold to add to the exquisite look of this cake. 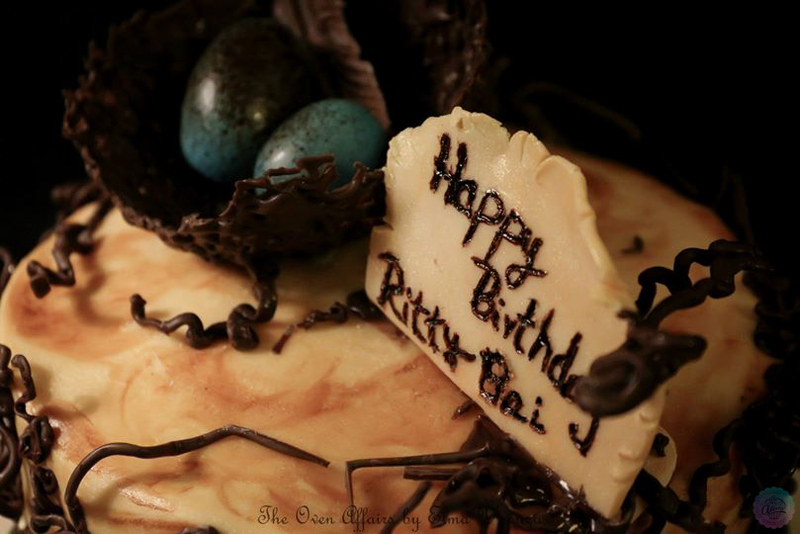 Handcrafted for Ritty Bai on request by Nisha Roshan Dsilva.